What a great deal! 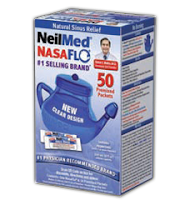 Starting tomorrow (9/8) you can score a FREE NeilMed NasaFlo Neti Pot for FREE at Walgreens! See the deal scenario below.